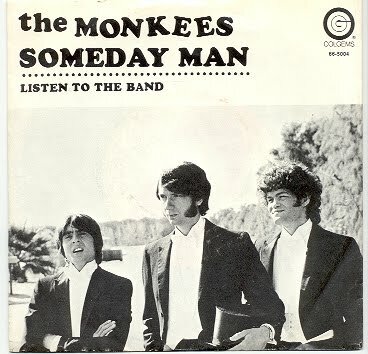 Since the last Monkees Headquarters Radio Show post was such a popular one, I have decided to close out the year with another one. I hope you enjoy this one. Have a good New Year, and there's lots more to come at this blog, so stay tuned. In the fall of 1966, the Monkees' TV show debuted, and with "Last Train to Clarksville" already approaching the No. 1 spot on the Hot 100, the Pre-Fab Four were red hot, and this continued for the better part of the next two years. Everybody wanted in on the Monkees' success, much like what happened just two years earlier, when the Beatles became the talk of the entertainment world. In 1964 (and even to this day), everyone wanted to record Beatles music, and take their original tunes and do their own versions of these songs. The same thing happened with Monkees' tunes written by the band members and others. Many performers who were trying to be "with it" with the younger crowd wanted to cover Monkees tunes, and they did just that. I thought it would be interesting to reconstruct at least the first three Monkees albums--the first album, "More of the Monkees" and "Headquarters"--with cover tunes recorded by a realm of artists. I have started this project, and you can join in on the fun at http://launch.groups.yahoo.com/group/albumania/. I have tried to stay within the period I am talking about, so much of the music is from about 1966 to 1968. 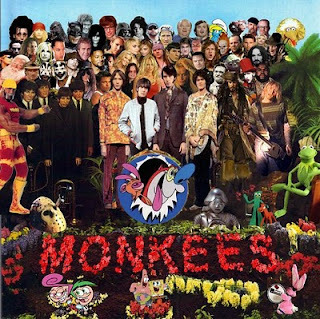 When I couldn't find period music, I used more recent interpretations--and to prove that Monkees music lives on, I was surprised at the wealth of cover versions from the past 10 years or so. In some cases, I used the original version of the song, or the version put out by the songwriter him or herself. Doing this just adds to the fun. No live versions are used--that would be cheating. I am into the second LP now, and such acts as the obvious--Tommy Boyce and Bobby Hart and Neil Diamond--and the not so obvious--the Paul Butterfield Blues Band and the Dickies--are all part of these cover version LPs. You will hear everything from out and out rock and roll to punk to soul to muzak, and everything in between here. So why not take a look? You might find a version of a song you've never heard, or might even like to suggest a version that I didn't use.